Il Dolce Far Niente – a phrase popularised from Eat, Pray, Love film or book if you please. “The sweetness of doing nothing” or “delicious idleness” – a fairly foreign phrase to most people but it is a concept with ever-increasing importance in the fast-paced digital age we find ourselves in. Multi-tasking has moved beyond a useful skill to a vice that has caused much stress in people’s lives and that smartphone, laptop or computer in front of you can actually get in the way of your relaxing getaway. 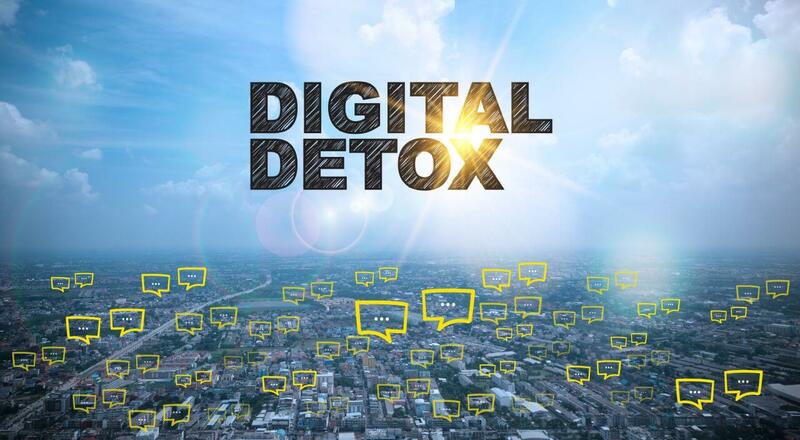 Studies involving neuroscientists, psychologists and behaviourists have noticed quite a few improvements within days of people going on digital detoxes. What is a digital detox? It is saying ta-ta, farewell and goodbye to technology for days or even weeks at a time. With phones, tablets and laptops packed away people have a posture makeover. Instead of looking like a hunched over ball of stress, wave goodbye to your gadgets and you’ll sit up, make eye contact, lift your shoulders and realign your spine. Studies show this will make you look more open and approachable; combine this with a smile and you’ll look and feel great. Hopefully this means you won’t misplace your keys again! All jokes aside – you will actually remember more details. Research shows that people who go on a digital detox have improved memory and recall details of what other people say more accurately. Recalling details allows people to have more meaningful conversations with each other. Can everyone say DMC (deep meaningful conversation) time? Studies show that people need significantly less sleep when they are without technology. So not only will you need less sleep research shows you will have a higher quality sleep; and detoxing will make you more peaceful and less agitated. No more buzzing and beeping interrupting your quiet time or forty winks. The thing about being more grateful is that you see how many treasures you already have. Research shows “detoxers” become extremely grateful during the experience and truly enjoy the getaway, unplugging and rekindling of relationships. Doesn’t that sound like just what you need? “Beep”, “ping’, “ring”, “buzz”, “flash” – Technology constantly interrupts conversations and you don’t even have time to process your own thoughts and feelings before a WhatsApp, email, Facebook notification or message is begging for your attention . Switch-off! A shutdown from the virtual world means a deeper connection with yourself and your loved ones. We all crave a digital detox – to switch-off and be present; to unplug from the noisy world. To truly relax under the stars, take in fresh air and quietly soak in the sights and sounds (or silence) of nature. Maybe even plant yourself in a quiet spot overlooking fynbos strewn landscapes while watching the morning sun creep over the horizon. Or just enjoy the company of your fellow “detoxers” and turn moments into magnificent memories. Ready for your digital detox? Click here to book your digital detox at Kagga Kamma today.